Michael P. Leahey is a Member in the Energy industry group, focusing primarily on litigation. He currently serves as the Firm's Assistant Managing Member and practices out of the office in Pittsburgh, Pennsylvania. Michael frequently defends the Firm’s energy sector clients on a variety of issues, and has navigated multi-party litigation involving claims of premises liability, deliberate intent, indemnification, products liability and work place safety. Michael has also handled coverage related litigation including claims of breach of contract and bad faith relative to commercial general liability insurance, life and disability insurance and environmental insurance policies. 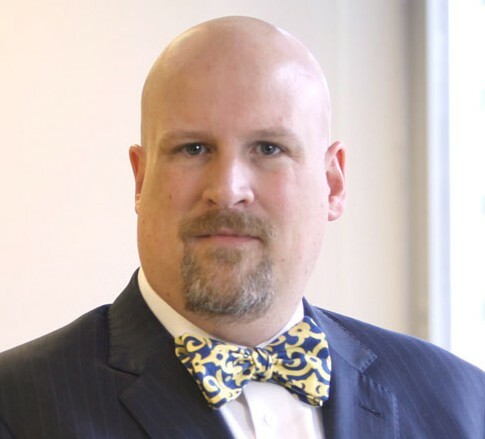 Michael began his legal career as a judicial tipstaff for the Honorable Ronald W. Folino in the Civil Litigation Section of the Allegheny County Court of Common Pleas. During that time, Michael assisted Judge Folino in numerous jury and non-jury trials. Michael obtained his Bachelor of Science degree from Allegheny College in biology with an emphasis on neurophysiology. After college, he worked for several years in medical sales. He received his law degree from Duquesne University School of Law where he served as a research editor for the Duquesne University Law Review.